This is the summary of consumer reviews for Delta Eclipse Changing Table. The BoolPool rating for this product is Very Good, with 4.20 stars, and the price range is $94.99-$129.99. 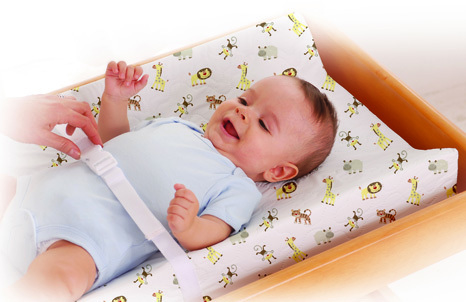 Delta Eclipse Changing Table is a safe, functional and quality product to make you feel confident that your baby is secure when changing diapers. 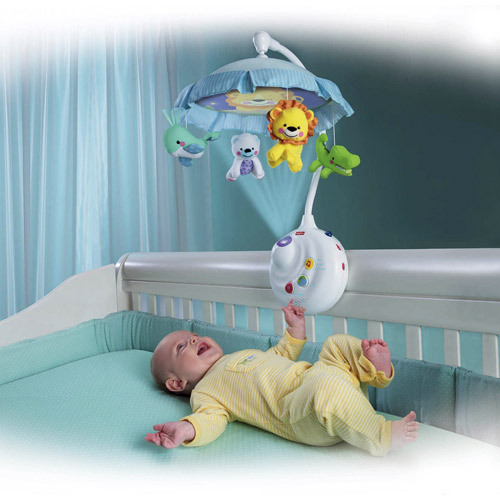 It is easy to assemble and comes complete with safety rails on all four sides around the top of the table, a water-resistant mattress and safety strap. There are two fixed shelves for open storage and height of the table is perfect. The Eclipse Changing Table also combines function and safety with style and craftsmanship. 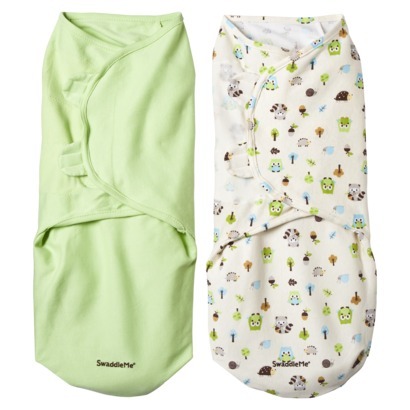 It is designed using solid wood and wood composites, with a non-toxic finish. The style of this changing table also matches the rest of the Delta Eclipse line, allowing you to have a continuous and appealing style in your nursery. Even though this table is shipped in good packaging some buyers received defective or damaged product. All in all, Delta Eclipse Changing Table is a sturdy piece of nursery furniture and is available in many different finishes and enhances any nursery. Changing diaper may not be the thing you enjoy, but the elegant style of this table will make it easy for you. Easy assembly, solid wood, beautiful color, extremely shiny, goes with our dark cherry nursery perfectly. Good color, solid design, pretty easy to construct. 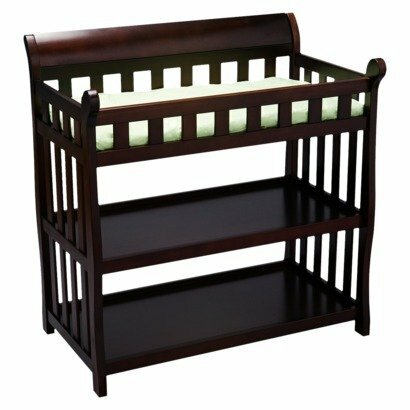 Excellent product nice rich dark color great shelves like the height of the changing table not to tall great value. very easy to put together, and the color is perfect. I was super pleased with the beautiful color. I took the cherry espresso one and it's a dark red brownish beautiful color very rich. The colors were very close and we love both pieces. You know...quiet, cute, the same skin color as his dad. I second guessed myself on the color and should have gone darker but listened to another reviewer. Overall, easy to put together; decent paint job even with some thinner areas; shelves are fairly sturdy; not real wood; recommend if you want a decent table at lower price. Pretty easy to put together, no additional tools required. The instructions were very easy to follow and it ended up being quite the sturdy product. It was quite easy and quick. The instructions are clear and assembly is relatively easy. This changing table came as described it's a beautiful wood finish and is very well made . It was easy to assemble I'd highly recommend this product . But overall, it was easy to put together, feels sturdy, and I like the color. And it seems pretty sturdy too. it matches the glidder rocker we bought and it's a very elegant addition to our baby ensomble.my fiance has got it all loaded up with baby clothes,diapers,wipes,etc. it was very easy to put together and it's very solid and sturdy. Nice table, works well, looks good. Nice looking piece of furniture - doesn't look cheap. Very sturdy, "expensive" looking and just a nice solid table. It looks great in our babies room and it's a nice looking piece of furniture. Very sturdy, good looking piece for a reasonable price! It's still very nice looking and very sturdy. Haven't tried the changing table yet but looks very sturdy. It's very sturdy and looks great! It doesn't look as sturdy as I thought it'd be in the photos but it's. Very nice looking as well. Even though the materials aren't expensive, it looks great & is sturdy & safe. 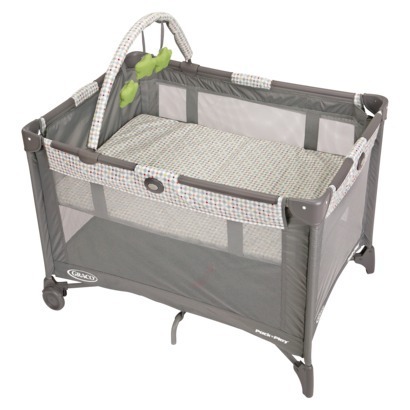 It's very sturdy and goes well with our Delta Canton Crib. You can never tell from a picture if the product is going to feel solid and sturdy, but this item does feel very sturdy and well made. It came well packaged with clear instructions, I'm 7 months pregnant and had no difficulty whatsoever putting it up by myself. It was packaged well too. It's very sturdy and well-made. Sturdy and holds a lot of clothes etc. 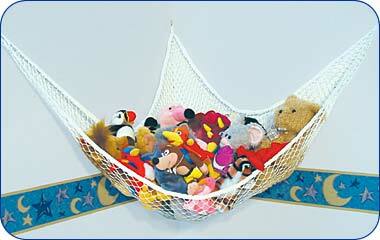 This's a great piece that'd work well in any nursery. The color has more of red / cherry finish than espresso but still goes well with our chocolate furniture. For this price, I was surprised at how chic and sturdy it looks and feels, and the finishing is beautiful! Changing table is larger than expected and extremely sturdy. 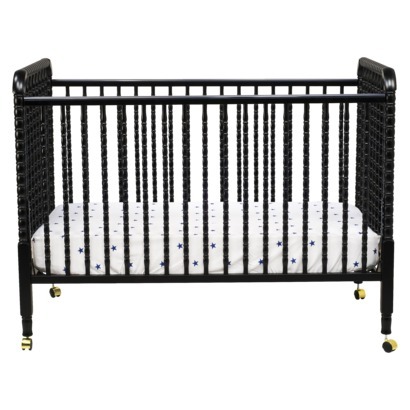 matches our delta canton crib perfect, sturdy, looks nice in the room. Matched the crib we bought. This changing table looks great with the matching Delta crib and dresser I purchased. It was easy to assemble (took only about 20 minutes) and matches our Baby Cache espresso crib and dresser very well (we bought the black). 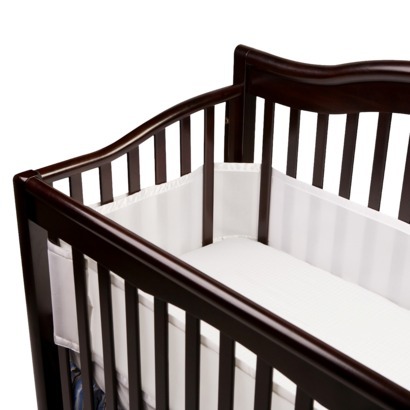 It matches Delta's Canton style crib in cherry espresso and is a more affordable option than the changing table sold with that crib's set. They'd already bought two matching cribs and have been very pleased with this matching changing table. The espresso color isn't a perfect match to our espresso Dakota Sutie Bebe Crib but close enough. We were so glad to find this as we'd been looking and looking for a changing table that'd match the DaVinci Jayden 4 in 1 crib. This unit arrived quickly and matched perfectly with the Sorelle Tuscany Elite crib & dresser I already purchased.